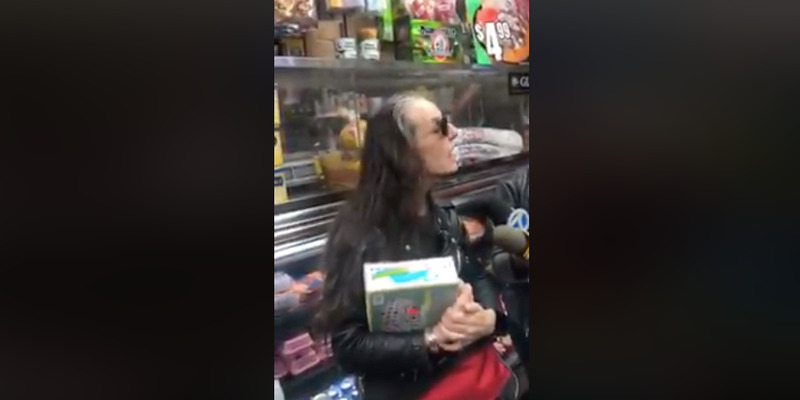 A white woman apologised on Friday after a video went viral showing her calling 911 to wrongly report a sexual assault allegation against a young, black boy in Brooklyn. The woman, 53-year-old Teresa Klein, had alleged on Wednesday that the boy groped her at a convenience store. Klein was confronted with security-camera footage on Friday showing that the boy’s backpack had brushed against her. The original video is the latest in a series of instances where white people have called police on black people for seemingly innocuous behaviour, raising concerns of racial bias. A white woman in Brooklyn who called 911 and falsely accused a young black boy of sexual assault apologised on Friday after being confronted with video footage showing that the boy appeared not to touch her. Teresa Klein, 53, sparked outrage across social media this week after she was captured on video outside a convenience store calling police and accusing a nine-year-old boy of groping her. “I was just sexually assaulted by a child,” Klein said over the phone, as the boy could be heard crying. “The son grabbed my arse and she decided to yell at me,” Klein said, referring to the boy’s mother. The video, recorded by 37-year-old Jason Littlejohn, quickly went viral, racking up more than 6 million views as of Saturday evening. Littlejohn labelled Klein “Cornerstore Caroline,” the latest variation on a trend of nicknaming white woman who have gone viral for calling 911 on black people. “Permit Patty” and “BBQ Becky” each received online backlash after calling police to report a young black girl selling water in San Francisco and a group of black people barbecuing in Oakland, respectively. On Friday, Littlejohn uploaded another video showing Klein back at the convenience store and watching surveillance footage from earlier that week. The footage appears to show the boy’s bag brushing against Klein’s backside as he walked behind her. Klein conceded to reporters in the store that “the child accidentally brushed against me,” and apologised. “Young man, I don’t know your name, but I’m sorry,” Klein said, looking into one of the cameras. Though Klein told Fox5NY that she’s not racist and phoned police because she believed the boy’s mother was being aggressive, her 911 call was the latest in a series of instances where white people have called police on black people for seemingly innocuous behaviour, raising concerns of racial bias. Two young black men in in April were forcibly removed from a Philadelphia Starbucks by police as they sat in the café waiting for a business meeting. In May, a graduate student at Yale University was questioned by police after a fellow student reported her for sleeping in the common area of their dormitory. In June, one black firefighter in uniform was reported to police as he conducted a city-mandated inspection on homes in an Oakland neighbourhood. The witnesses who saw Klein call 911 told media they felt outraged that Klein had frightened and potentially traumatized an innocent young boy.